The power plant (Tysso I) was built between 1906-1918. It's purpose was to deliver electricity to the factories in Odda. With a vertical drop of 400 metres Tysso I was one of the largest high pressure plants in Europe. Close to 1000 men, and a few women, came to take part in this adventure of construction. Foundation, dams, large constructs in hand carved granite were erected in Skjeggedal. Two water tunnels of 3,5 kilometres each were carved out using blast-hole drills, mallets and dynamite. Five gigantic pipelines were lap jointed together in the steep mountainside all the way down to the fjord, where the 180 metre long power station was built in three stages. The plant was continuously developed with new technology and support functions, until 1989 when the production was shut down. Today the power production in Tyssedal takes place in the mountain halls of the Oksla power station, just behind Tysso I. Oksla has one large aggregate, which has taken over for the 15 aggregates in Tysso I. Even today 50.000 litres of water is every second transformed into hydropower in Tyssedal. Ringedalsdammen og utslipp from NVIM on Vimeo. Viedo footage showing amounts of water pouring out from the dam after a turbine-breakdown in Oksla in 2013. The road towards the protection declaration. In 1978 the region made an initiative get Tysso I protected. This did not lead anywhere. 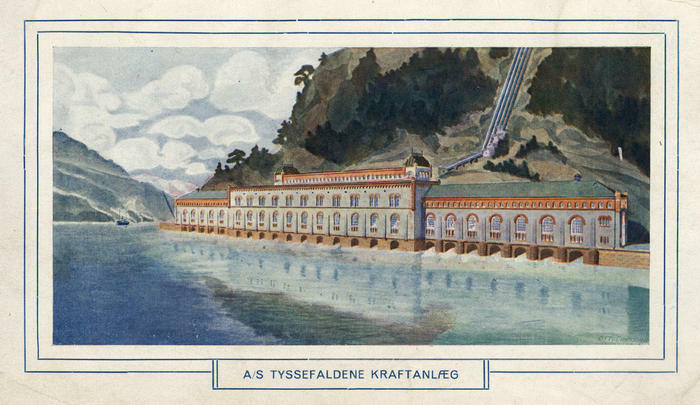 In 1989, Odda Municipality, with the financial support of The Norwegian Heritage Council, made the initiative to prepare a document explaining the value of the Tysso plant as part of the local and national industrial heritage. In 1994 the Norwegian Directorate of Cultural Heritage developed a protection plan for our technical and industrial heritage. Here the goals and priorities for a larger plant were clearly defined. All the businesses represented have created great values and shaped Norway as an industrial nation. One of these plants is Tysso I. In spite of much positive feedback from the authorities, it took all of 6 years to get the protection declaration. In the meantime Tysso I was exposed to a severely damaging decay after the last machine was switched off in 1996. In 1999 the museum in Tyssedal, with the support of the Norwegian Directorate of Cultural Heritage, developed an extensive report: “The condition and need for rehabilitation and maintenance of the Tysso I power plant”. The Tysso I report concluded that there was some urgency in getting started with the renovation work. The report contained concrete plans with calculations of cost for the various stages of the renovation work. The goal was to finish by 2003. The work started after the protection declaration on May 15. 2000, with the report as a basis for the work. 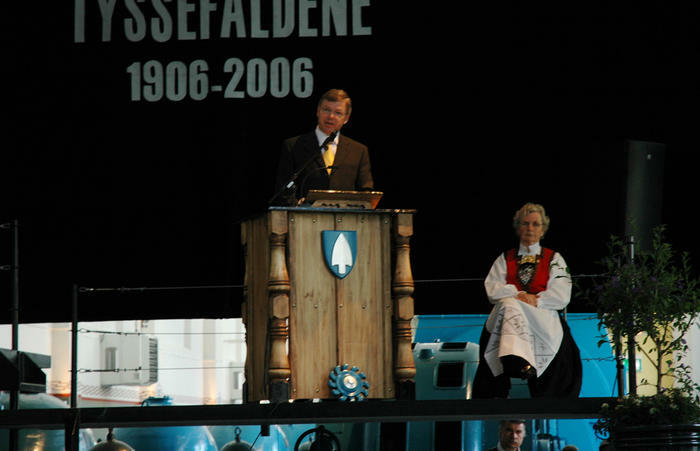 It was finished in 2004 and was declared opened by the norwegian prime minister Kjell Magne Bondevik in May 2005. In connection with the Parliament’s consideration of new power agreements for the industry, Tyssefaldene Ltd was ordered to pay 10 million to a fund. This was important start-up capital to secure the old power station. Tyssefaldene Ltd has also reserved 6 million for the restoration of the old pipelines. The Director General of Historic Monuments has so far given a 7.3 million investment grant, Odda Municipality has given 4 million, Hordaland County has given 3 million and the Ministry of Petroleum and Energy 2.5 million. All together the region (owner, municipality and county) has put up 23 million, while the authorities have granted 9.8 million. The hope is that the authorities will pay for the remainder of the work in the National Budget in 2003. A plan has been devised for the plant as museum, and as a building for culture. 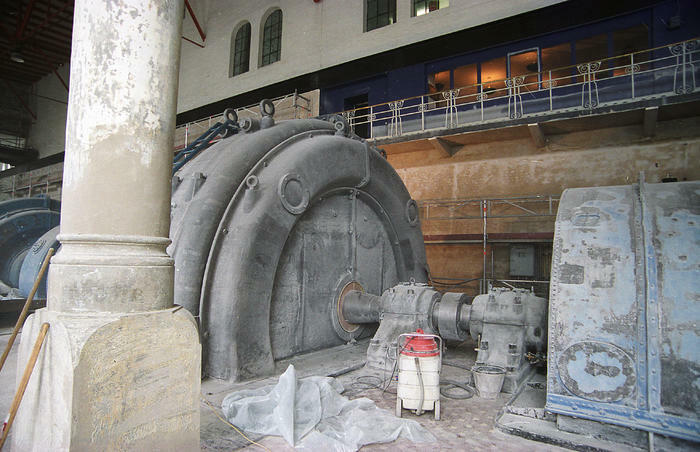 This regards restoration work, the museum’s contact with the public, and measures that will make the power station unique as a cultural building. The goal was for the Tyssedal power plant to become an arena, where nature, industrial history and technological development could be experienced. These plans were estimated to be 35 million kroner (1999 prices). The Norwegian Heritage Council granted 1,3 million to the cultural-building part, and the UNI foundation granted 380.000 for various safety measures for the public. The restoration work began in the summer of 2002 at Lilletopp, with the buildings at the top of the pipelines. The twelve buildings have been restored. The power station has been restored on the outside at a cost of 10 million. The roof with 45.000 slates has been re-laid. Gutters, drains and roof ridge fittings in copper have been partially replaced. 1000 windows have had their wrought-iron frames replaced. The outer walls have gotten partially new plaster and have been repainted. The power station has regained its reputation as a magnificent building by the Sørfjord. Before the renovation could commence on the inside, one had to secure a stabile indoor climate. In the autumn of 2001 the remote-heating system was in place. It is based on hot cooling-water (70 degrees Celsius), from the neighbour factory Tizir. The heat energy from Tizir is distributed as hot, dry air in the 30 000 m3 turbine-hall through the use of 22 aero-tempers. This way the museum saves at least 1 million each year in heating costs. Large surfaces had to be covered in connection with sand-blasting of the roof and ceiling and chalk-blasting of the machines. All the craftsmen were from local firms. Thin glass-windows were put into the restored wrought-iron frames. 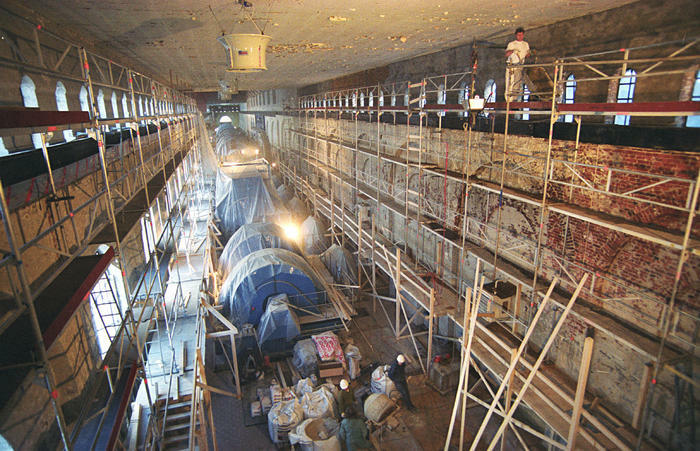 The restoration work inside the power station first concentrated on the south and mid wing. Here sand-blasting, plaster maintenance and polishing was done.The ceiling and the walls were painted in white glue-paint. The machines was chalk-blasted and scrubbed. The colour of the machines, decorative panels and borders was renewed. In the summer of 2002 the restoration of the pipelines commenced, with high-pressure cleaners, rust binding and tar paint. The north wing of the power station was restored in accordance with the pattern in the south and mid wing. The magnificent floor in ceramic tiles was restored. 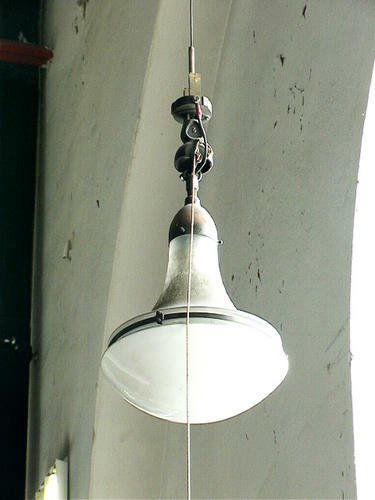 Wrought iron lamps and technical support equipment was put back in place. The foundation of, and the installations along the pipelines were secured. The valve-house by the intake-dam in Skjeggedal and the renovation of the buildings at Lilletopp was completed. The restoration process was a process of learning. We recount some experiences that we have made. Restoring such plants as this demands a solid financial foundation and much knowledge. The work has to be done in accordance with strict antiquarian guidelines, while at the same time allowing active use of the building. If a large industrial construct like this is left unused, it is important that the restoration work commences quickly. We have benefited greatly from the thorough analysis of the condition, the need for restoration and future maintenance, and the corresponding estimates of cost. We learned that documentation of the plant through archives, photo and interviews has to be organized and made available before the work is commenced. This is of crucial importance when it comes to choosing the right materials, work techniques and to promote good working conditions and work relations. There is a clear advantage in making use of local contractors in order to strengthen the identity of the project, but this may also have financial benefits. From a construction point of view it is important that the work be done as quickly as possible. Starting and stopping due to lack of funds is frustrating and expensive. This makes the heritage protection look bad compared with the efficiency of new construction. The knowledge that has been accumulated by the construction side of this work can be transferred. 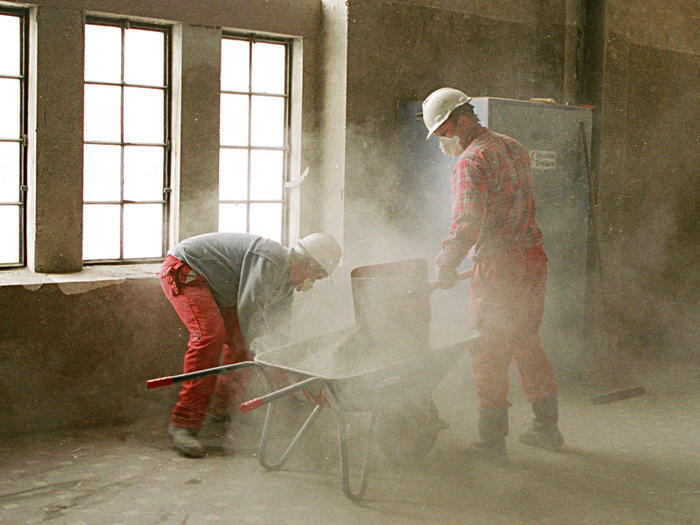 It is possible in Tyssedal to create a training centre for the restoration of older industrial plants, within masonry, timber, painting, machine rehabilitation and various construction techniques. There is a need for this both at highschool level and at college level within the regular curriculum and in adult education. In a restoration project like this it would be useful for practical and financial reasons to integrate plans for the public’s access to the building, and also for the use of the building for various cultural activities. Protection through use of the industrial heritage buildings will strengthen the will to protect, and send the message that heritage protection is a positive thing. Randi Bårtvedt (b.1958) was the director from 1989 to 2013, and Terje Kollbotn (b. 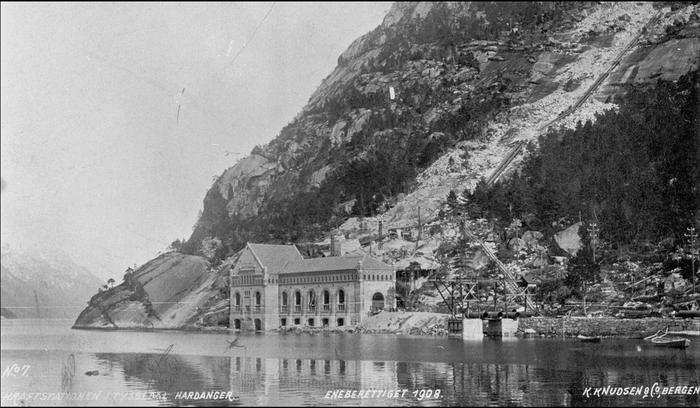 1951) was head of construction until 2013 at the Norwegian Museum of Hydropower and Industry.